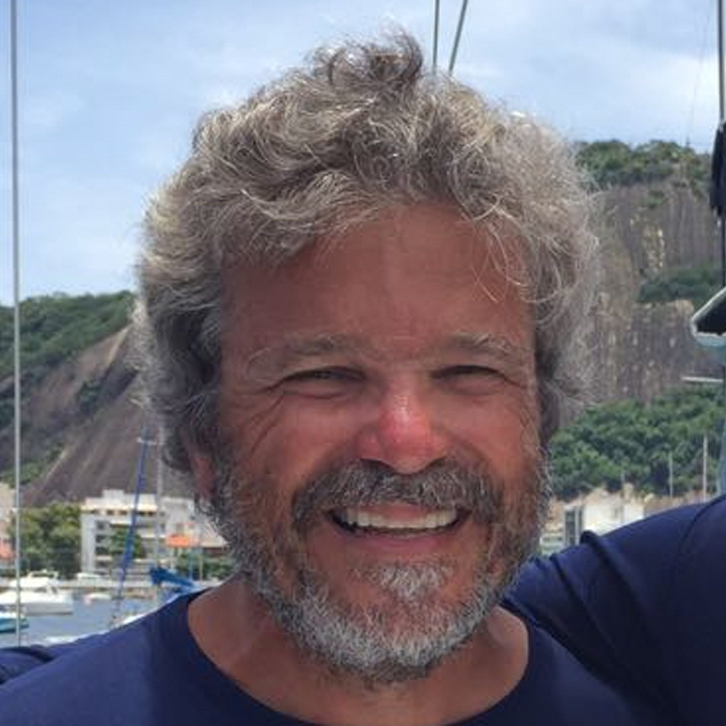 Competing in the Atlantic Cup for the very first time Brazilian Skipper Leonardo and his Angolan co-skipper José join the fleet having recently raced in the Transat Jacques Vabre! 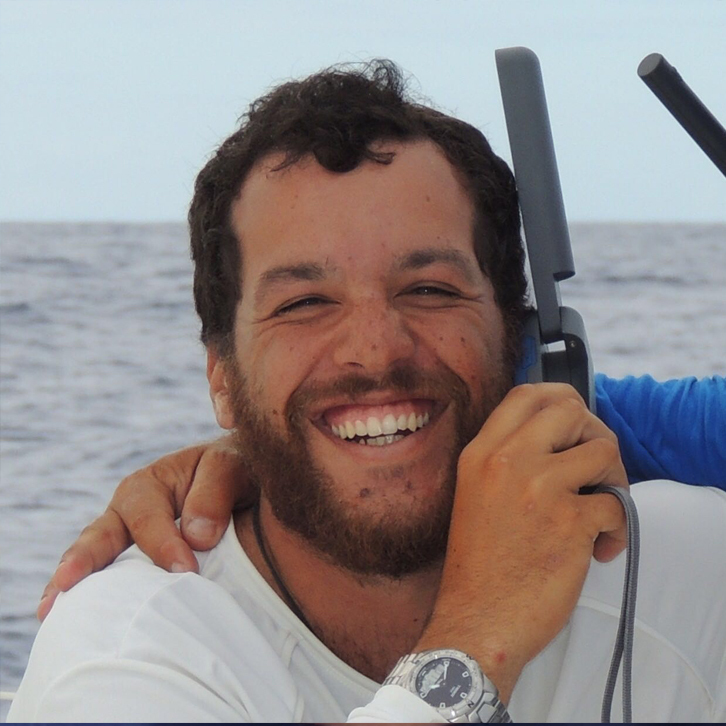 Backed by Angolan telecoms company Angola Cables this international team have sailed thousands of miles together on a fast boat. #107 is the sister ship both Oakcliff and Privateer providing us with a race inside a race! Where did you grow up: In Luanda, Angola, where I learned to sail. When I was 15 I moved to Brazil because of a civil war in my country and began sailing Snipes. Do you have any hidden talents? I like to cook! Yes, I began doing Architecture but I didn’t finish the course. Yes. When I was younger, Go-Karting and now I’m learning to kite surf. If you are protecting the oceans, you are protecting life! I try to educate people to preserve nature. We are from Africa and Brazil and we need a lot of support to bring the message of the race to our countries. We have a lot of nautical miles in offshore racing. We are well prepared!! I started in OPTIMIST’s and was a crew member on offshore boats. I’m from Salvador, Bahia, Brazil and I’m very superstitious. – Professional Skipper since 2007. Only the Atlantic Cup. We will compete in the Brazilian offshore circuit but on a different boat afterwards. The owner of the boat (Jose) is my co-skipper. I met him whilst delivering his cruising boat. He is a resilient guy and always finishes the projects he takes on. I’m a good trimmer and also good with the helm. We are relatively new in Class 40 and we are learning. Our challenge is to finish the race by doing things correctly. Any boat of the new generation can win the race. We try to preserve the sails as much as possible!! They are the motor of the boat. In Luanda, Angola, where I learned to sail. When I was 15 I moved to Brazil because of a civil war in my country and began sailing Snipes. Yes, I’m a medical doctor, I have a PhD in Interventional Neuroradiology, and I am a Professor at the University of Sao Paulo Brazil. Yes. When I was younger, Trail in Motorcycle and I now skydive, but only for fun. I’m divorced and now I have a girlfriend. I have only one daughter who is now 34 years old and is also a medical doctor. I will not see the birth of my first grandson because he will born during the Atlantic Cup. We are responsible for everything we do on this planet. For me, taking care of the planet signifies taking care of the relationships, taking care of health, taking care of the ethics, taking care to not be racist, taking care to not have prejudices AND taking care of the environment. For me sustainability is all that makes life possible in the future!! The oceans, like everything in the world are going to finish in the next centuries if we continue to not do our bit! LOOK TO YOURSELF AND TELL ME: ARE YOU DOING YOUR PART? Everything I do is to protect life so I’m protecting the planet and oceans as a consequence!!!!! The Atlantic Cup also has a robust Kids program, where we teach kids about offshore racing, geography and protecting the planet. We also ask the Kids to pick their favorite team. Tell us why Atlantic Cup Kids should vote for your team. We have some experience in offshore races, so I think that we are prepared for the challenge!! When I was young and until going to university I always competed in little boats in Brazil. After I was established in my work (doctor work!!) I began to make cruisers most of them single-handed. In Brazil short-handed sailing is not popular so we need to go out of the country to compete. One of my dreams was to compete in the Cape2Rio Race. In 2017 we did it in the double-handed division with the Class40. We won and broke the course record! Not at all but Leo who was born in Salvador, Bahia, Brazil is very superstitious. – Offshore sailor since 1988. Have a good participation in TJV 2019. Only the Atlantic Cup after, the boat will be chartered for the Route of the Rhum. I’m the owner of the boat and the co-skipper. Leo is the skipper! He is a professional man of the sailing world and delivered my cruising boat. Strategizing and trying to make everything run smoothly, especially the details. Integration with the sea and the sense of freedom. We are new in Class 40 and we are learning. Our challenge is to be in front of the other 2 boats that are brothers of our boat. The new generation of boats are very quick. I think that among this new generation of boats, anyone can win. This is a problem!! In the TJV we had an electronic problem and we stopped for 36 hours!! After this we were pushing the boat hard with an A3 and 30 knots of wind and we tore the spinnaker. After this we were handicapped!! We will try to preserve the sails in Atlantic Cup. Pasta with mushrooms, I hate cereal bars. I read, I just think about life or I like to stay with my girl friend.